Amir is a Managing Partner and leads transaction origination, structuring, execution and portfolio management, as well as the overall management of the firm. Amir has an extensive background in establishing, growing and running investment, investment banking, and international private and commercial banking platforms. 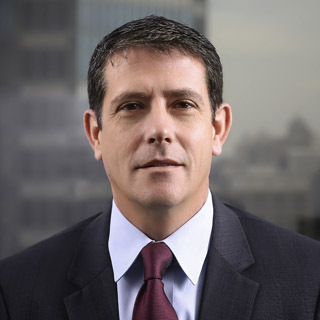 Previously, Amir served as Deputy CEO and a member of the Board of Management of Bank Hapoalim (TLV: POLI), Israel’s leading financial institution. In this capacity, Amir headed the Bank’s International Division covering both the Bank’s International Private Banking activities across 13 countries, and all of the Bank’s International Commercial Banking operations. Prior to this, Amir served as the President & CEO of Poalim Capital Markets (PCM), the investment banking subsidiary of Bank Hapoalim. At PCM, Amir spearheaded the establishment of its successful strategic alliance with William Blair & Co. and, under his leadership, PCM witnessed remarkable growth. Prior to joining PCM, Amir was a Vice President at Tamir Fishman & Co., the Israeli strategic partner of RBC. Amir also held internship positions at the Investment Banking Division of Goldman Sachs and Capital Financial Assets. Amir graduated from the London Business School (Leigh Scholar) with an MBA and from the University of Wales, Cardiff Business School (Benedict Scholar) with a B.Sc. in Business Administration. Prior to matriculating, Amir spent three and a half years in the Israeli Air Force (IAF) as an Air Borne Combat Crew Leader, First Staff Sergeant, in the special forces Search and Rescue Unit.